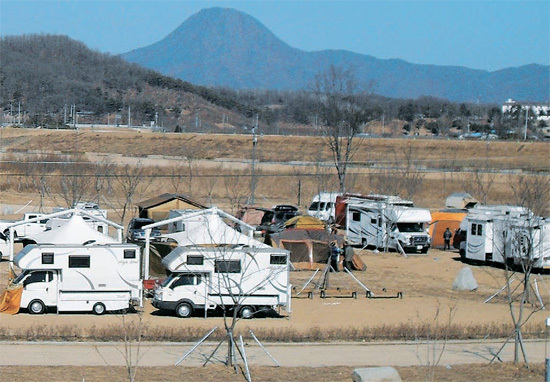 A family of three was found dead at a campsite in Changwon, South Gyeongsang Province, Sunday night. According to local authorities, the bodies of an 84-year-old man and his two sons, both in their 50s, were discovered inside a parked caravan. All the doors and windows were shut tight and byproducts from burned coal were found in the kitchen sink. The authorities said the three had died of carbon monoxide poisoning, and that they were investigating to determine whether it was an accident or a suicide.